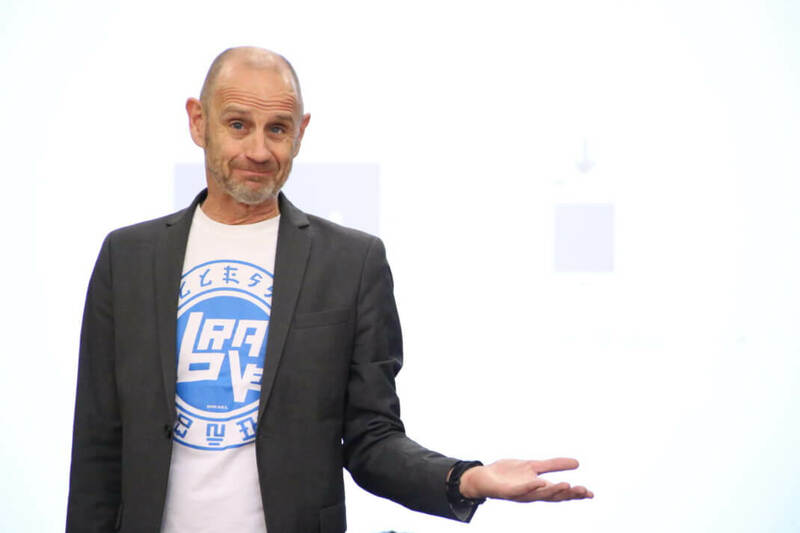 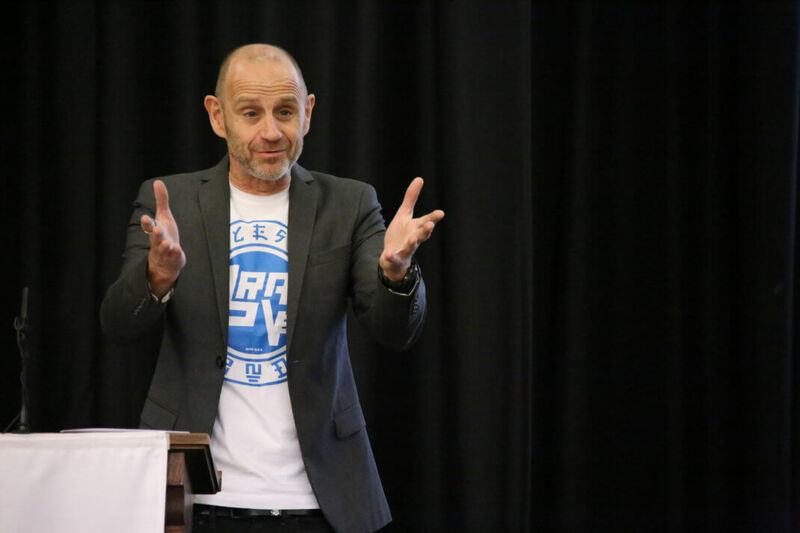 Renowned economist, journalist and television star, Evan Davis, has helped inspire students at John Lyon MUN, the School’s first Model United Nations. 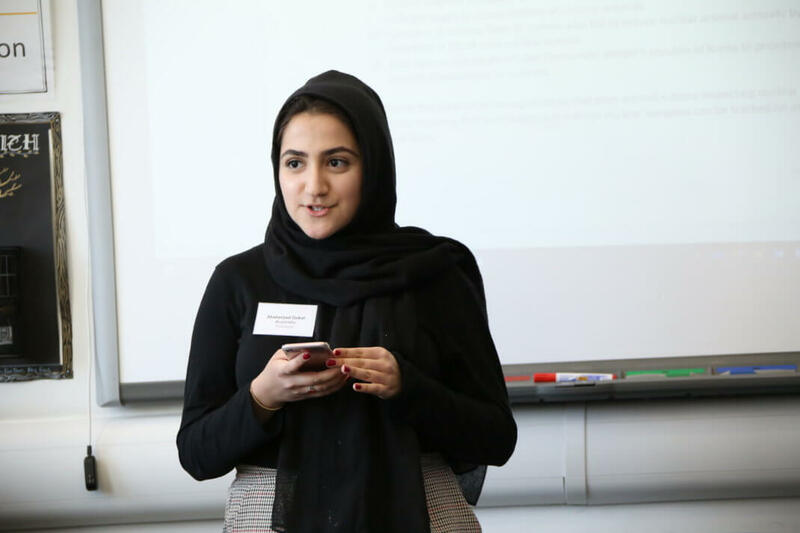 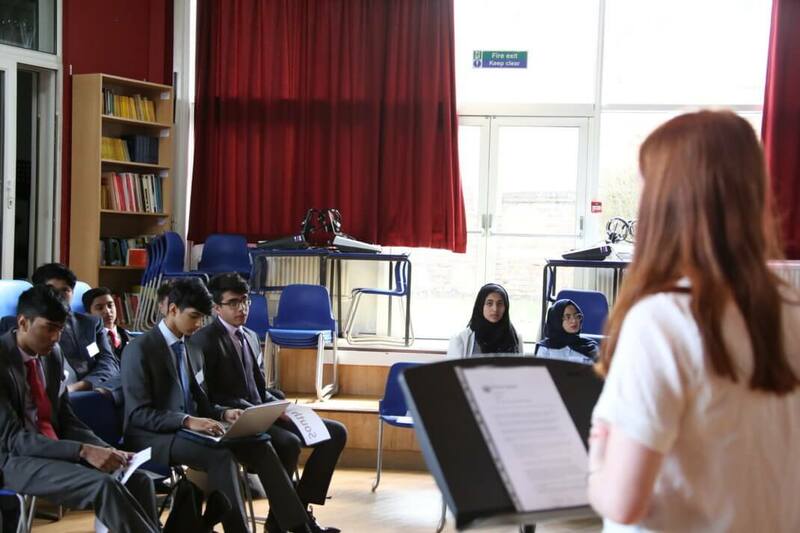 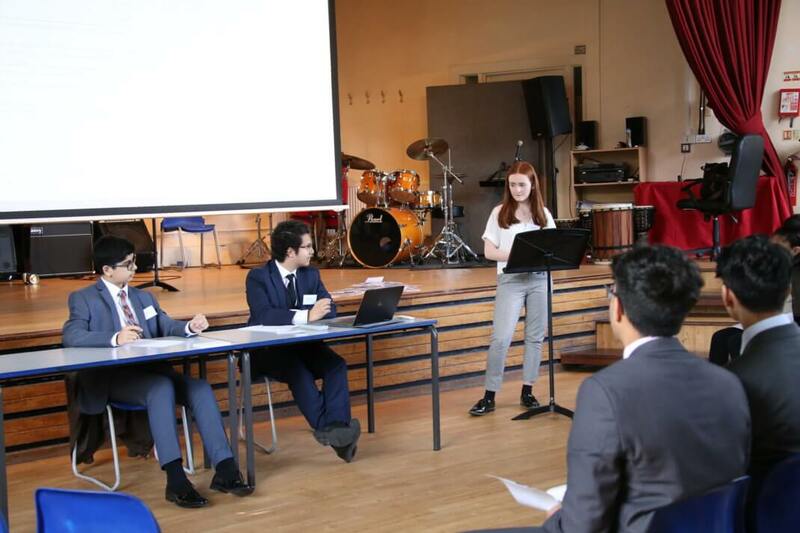  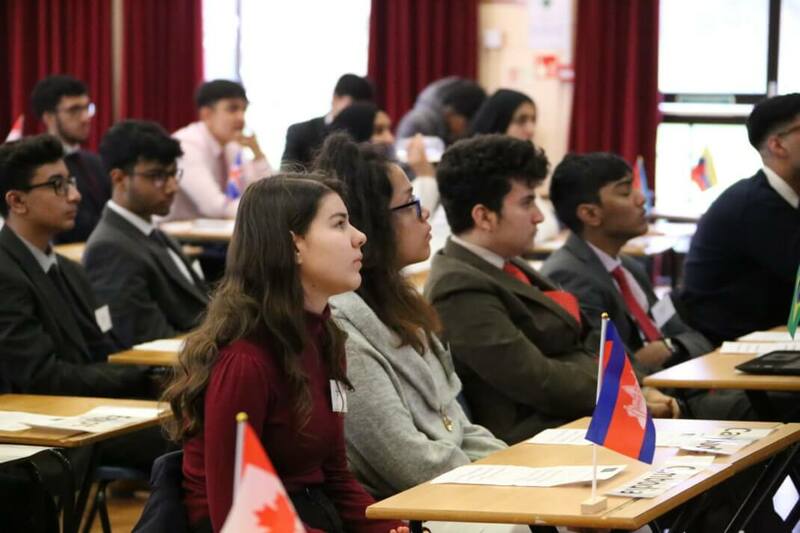 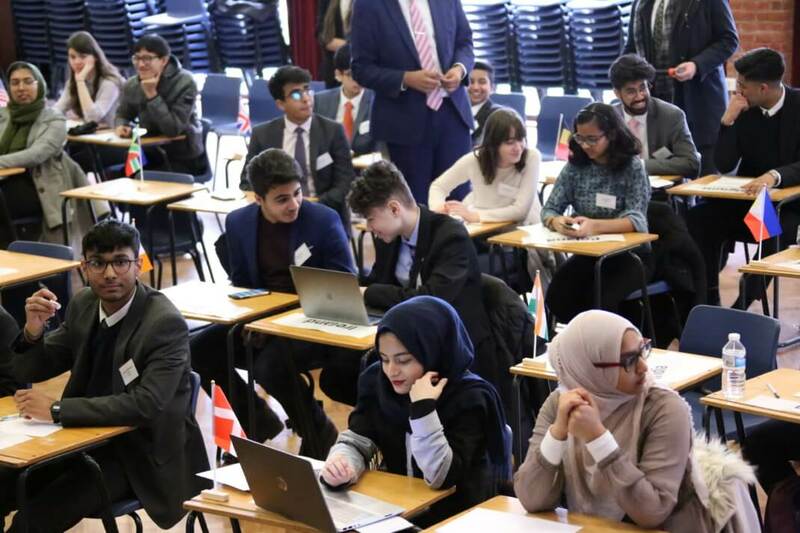 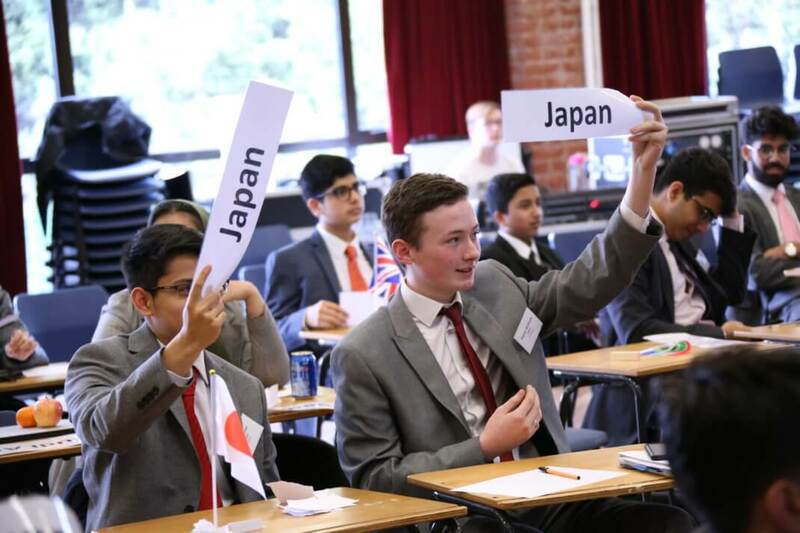 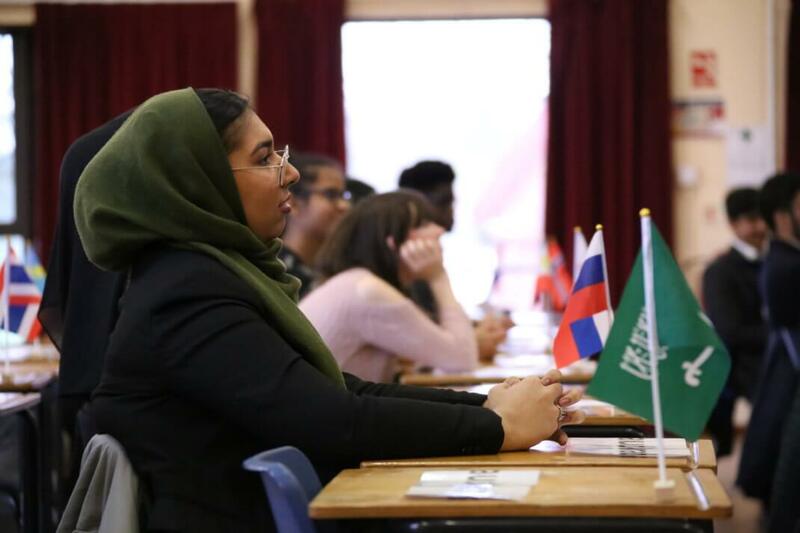 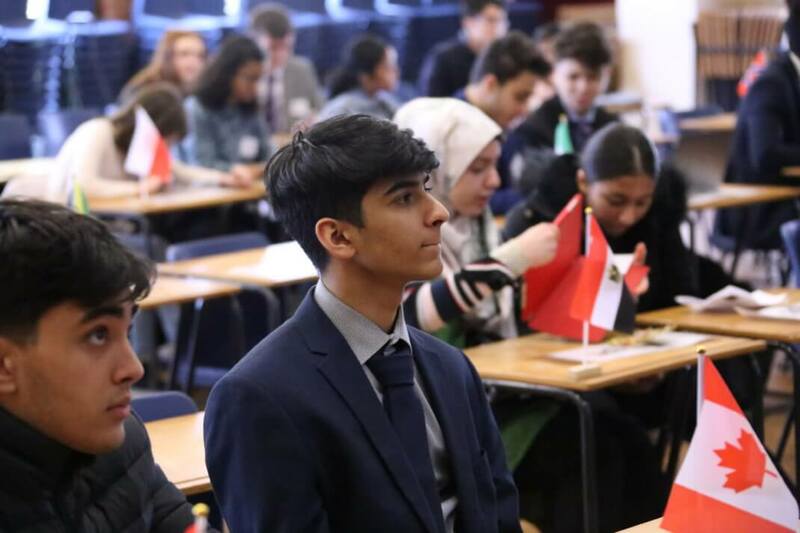 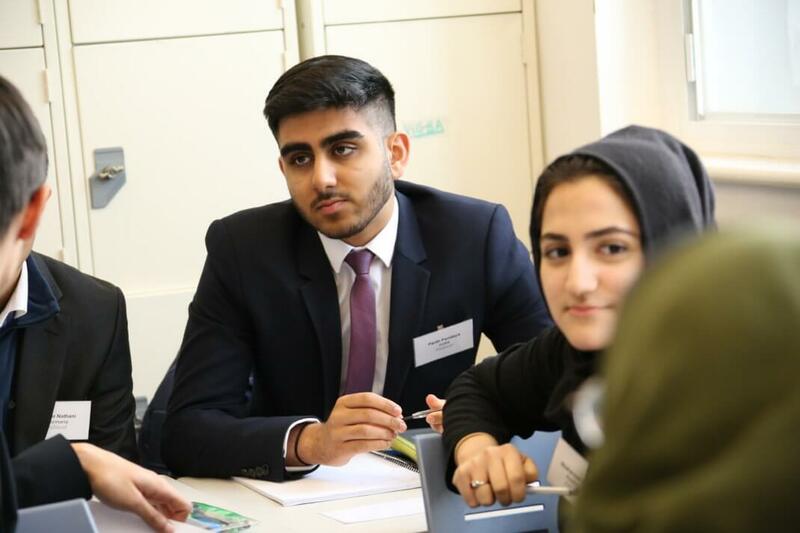 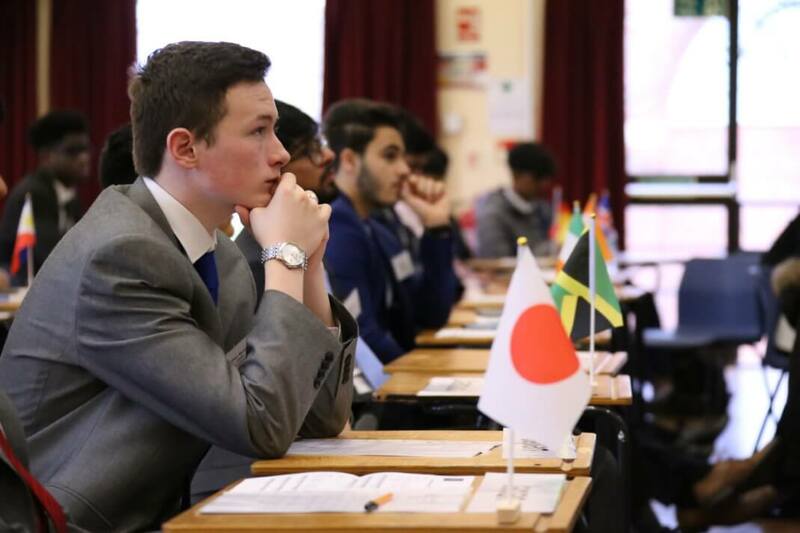 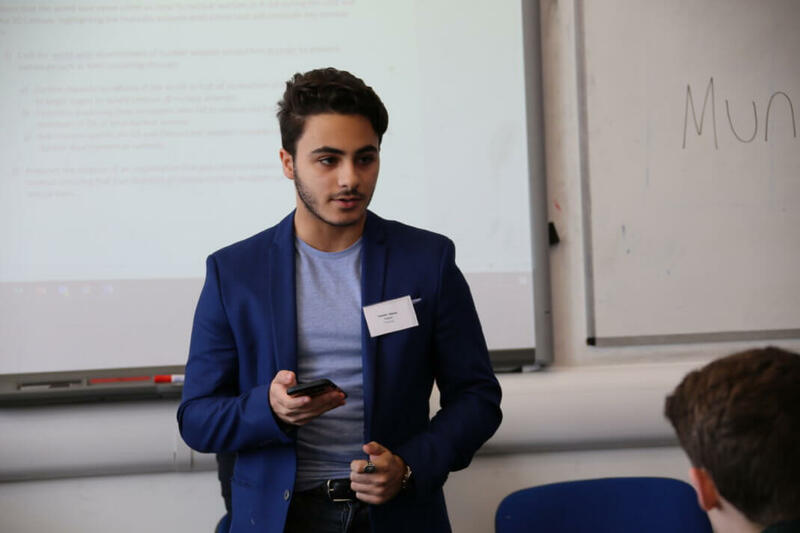 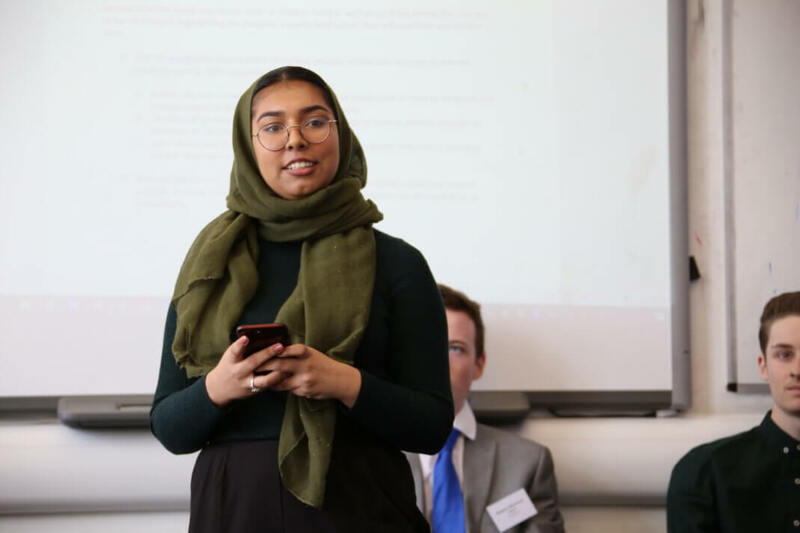 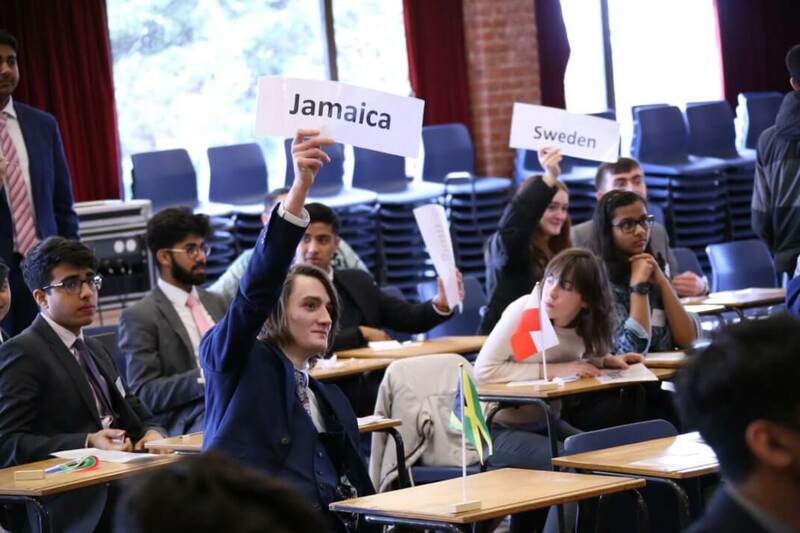 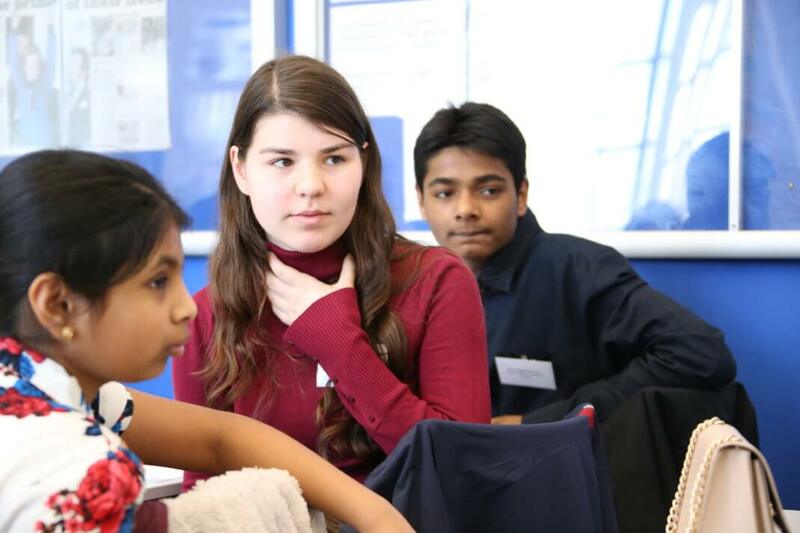 The two-day event, held across the weekend of Saturday 9th and Sunday 10th March, saw 54 students from six schools take part in John Lyon MUN, with each delegate representing a country and debating resolutions aimed at addressing key global topics. 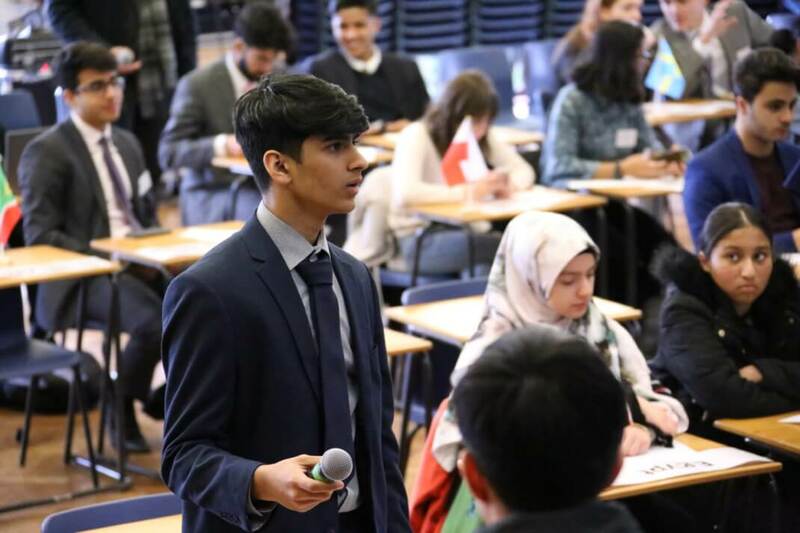 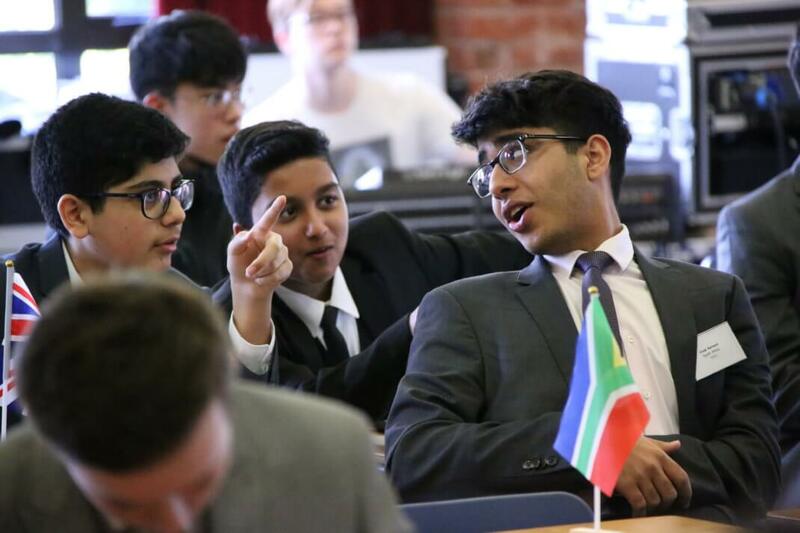 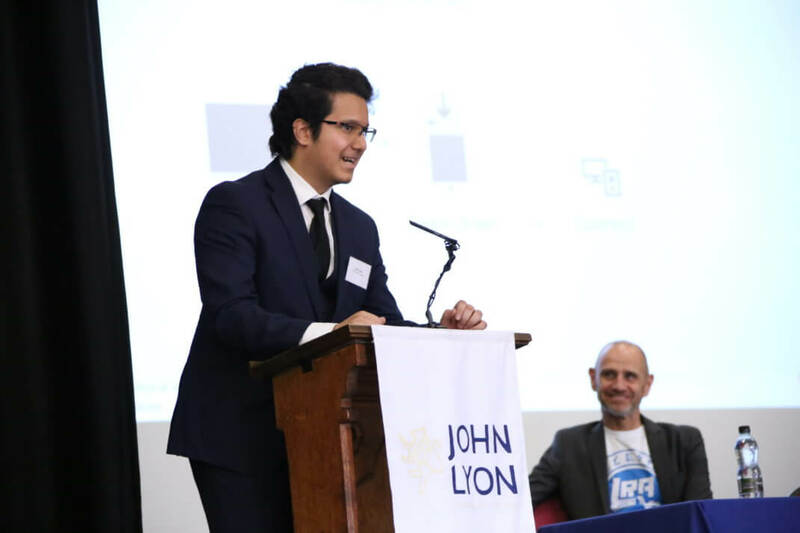 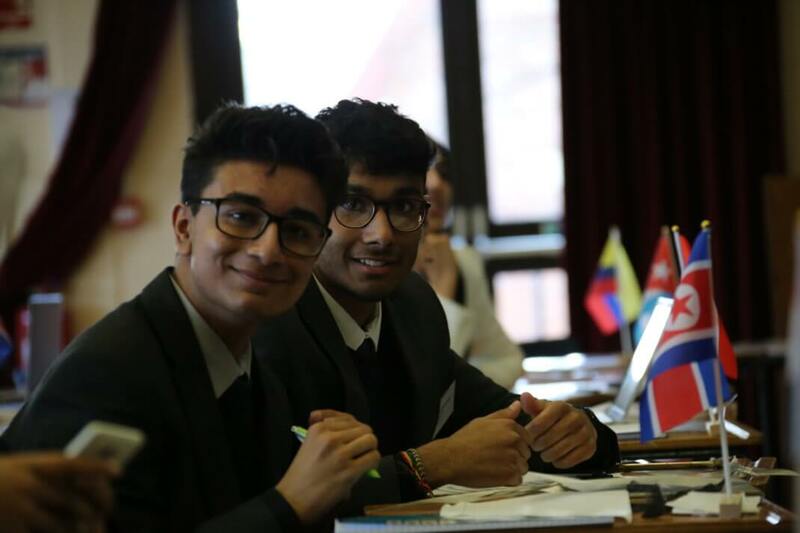 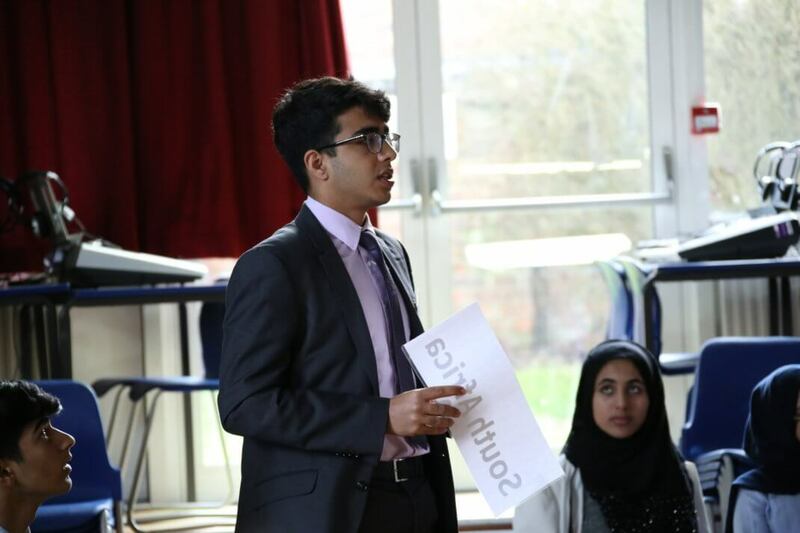 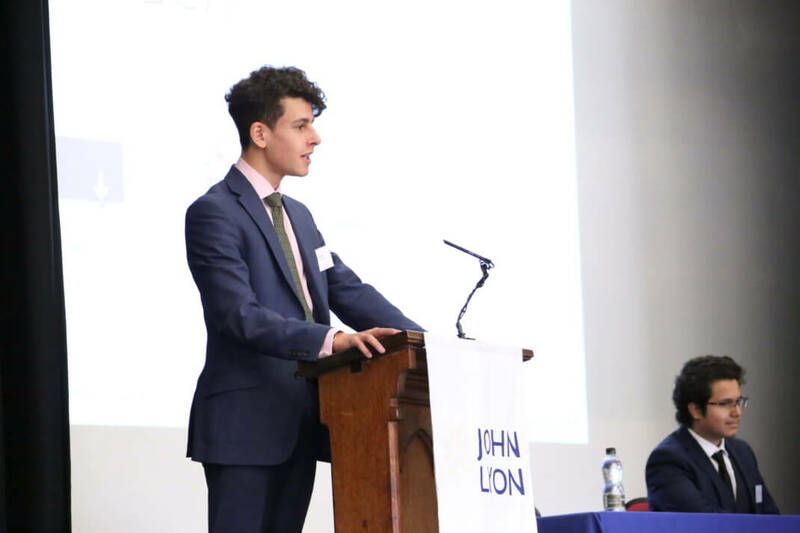 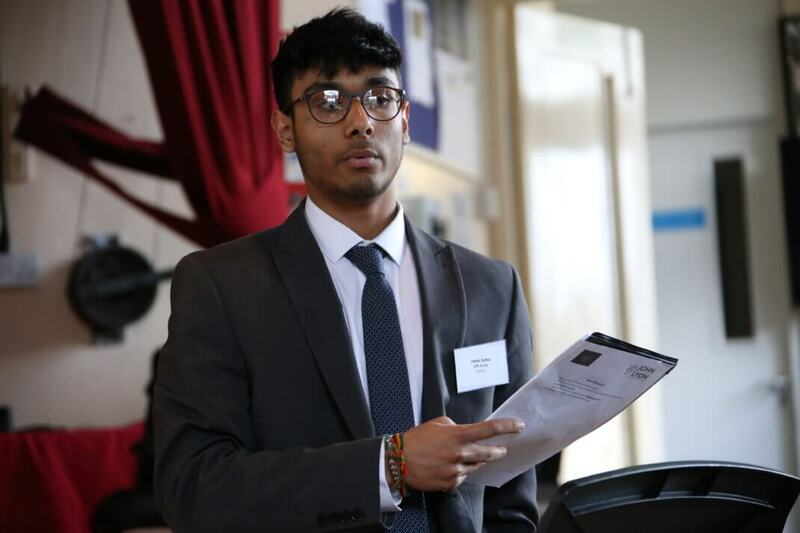 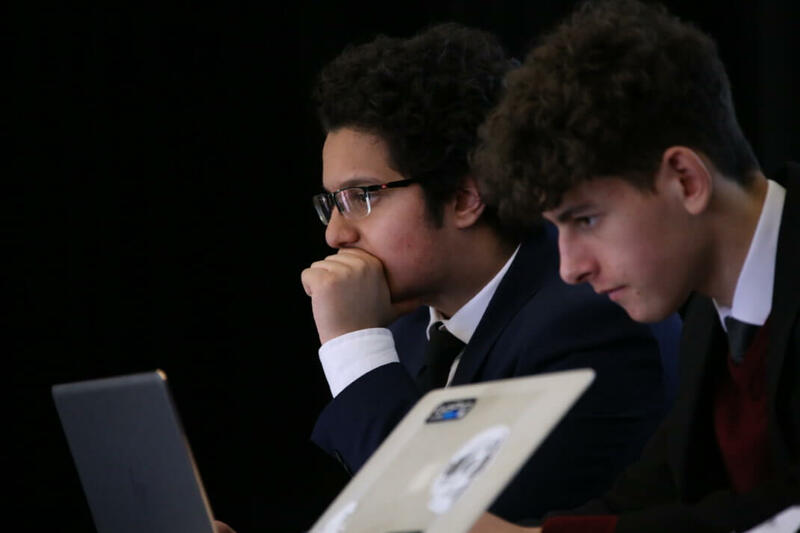 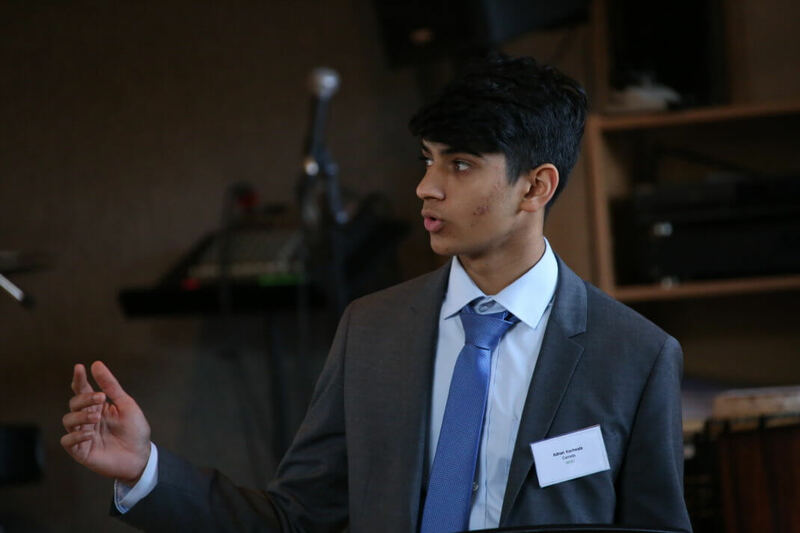 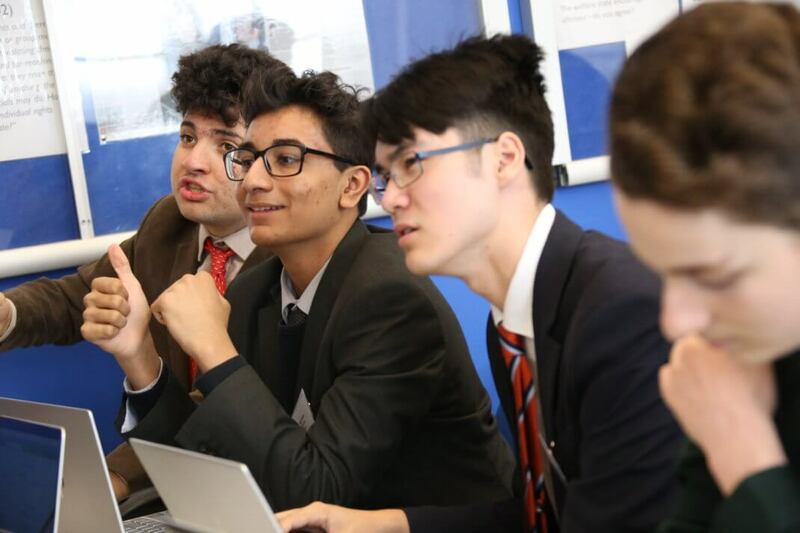 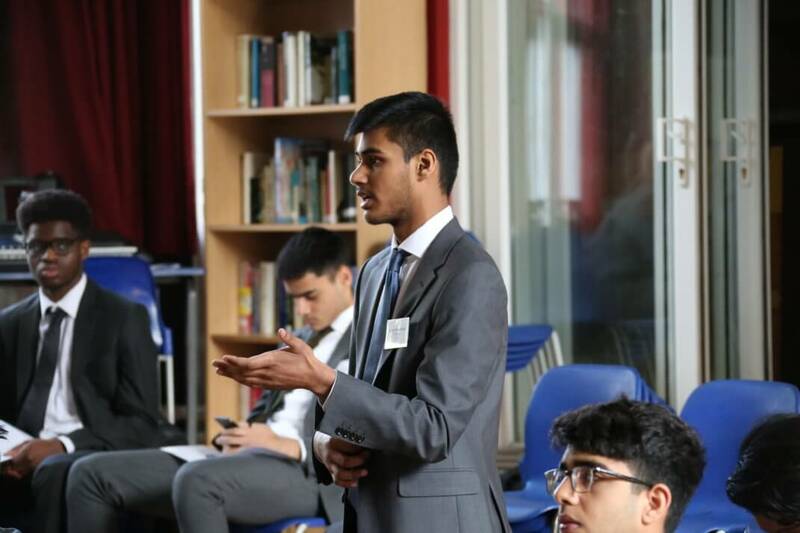 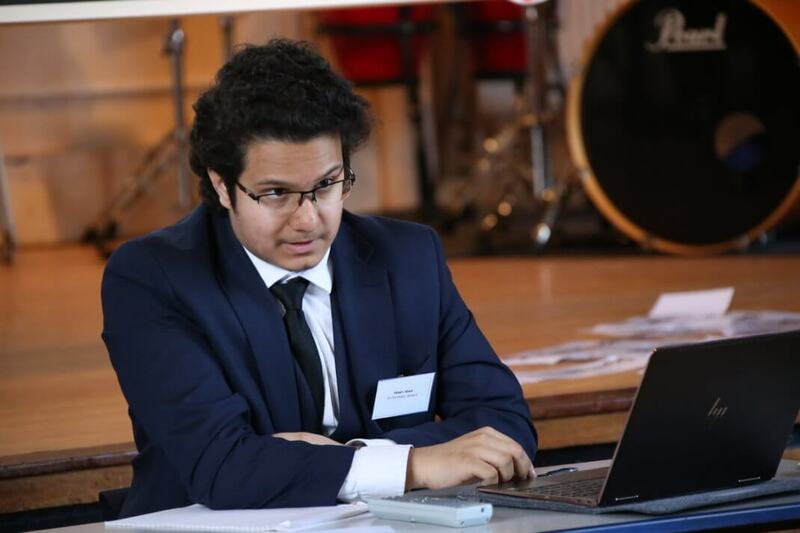 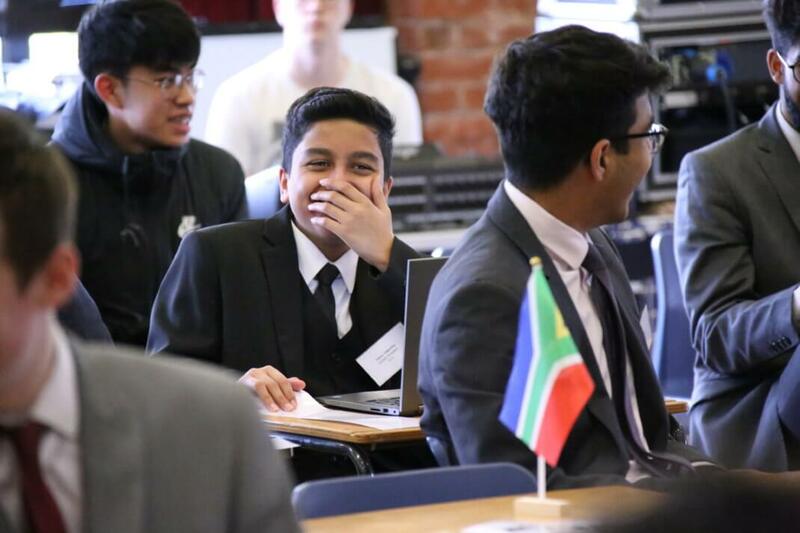 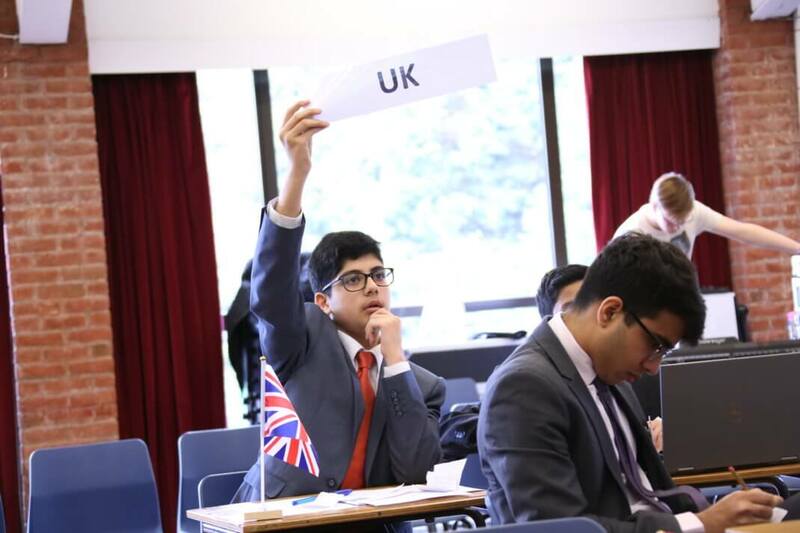 What made the inaugural John Lyon MUN more special was its organisation, led entirely by four Lower Sixth students, Husain Abedi, Patrick Miles, Deven Ruparelia and Adnan Kachwala. 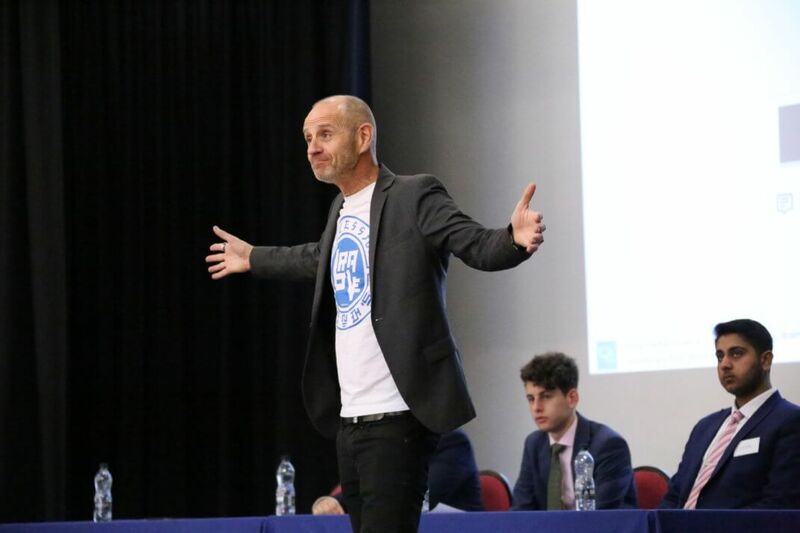 As well as creating the full event from scratch, building a bespoke website and marketing it to students from other schools, they managed to secure Evan Davis to open the event – a keynote speaker that even the biggest and most established school MUN would be proud of. 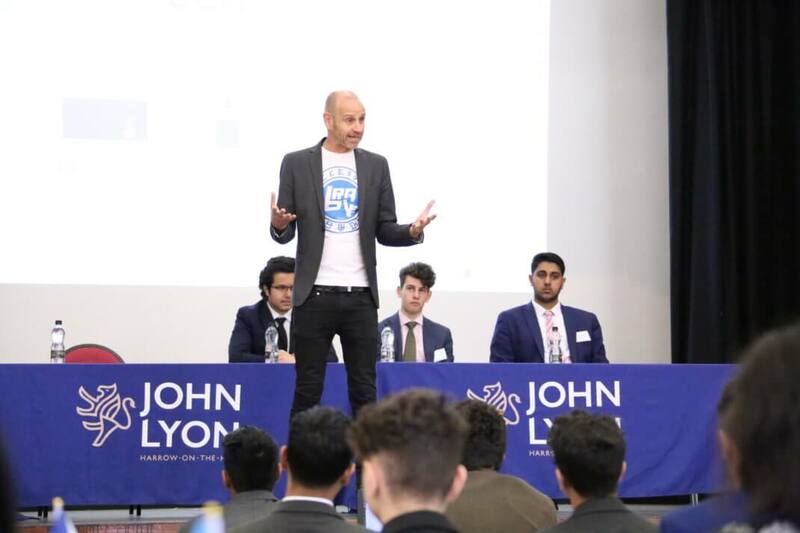 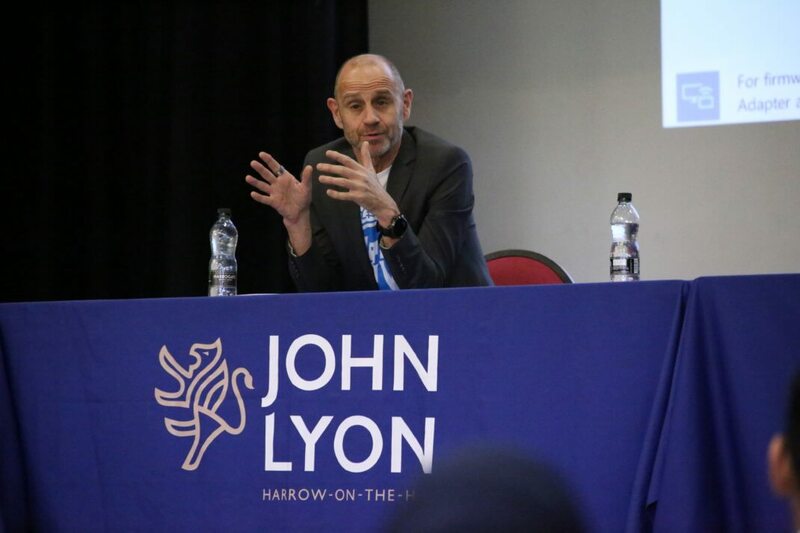 The economist, journalist and presenter of BBC Television’s Dragons’ Den, Evan Davis, spoke with enthusiasm and passion to attendees for over an hour before officially opening John Lyon MUN. 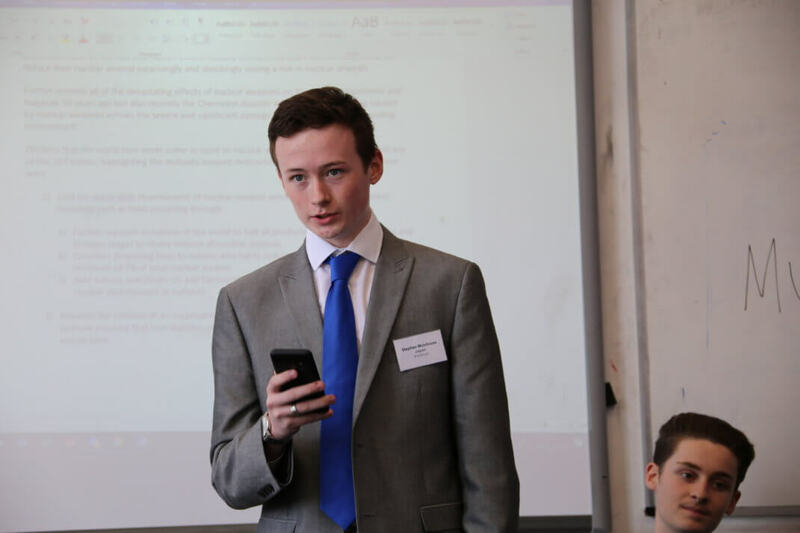 The conference saw small committees debate resolutions before coming together as a General Assembly, where the major resolution was on the subject of lunar ownership. 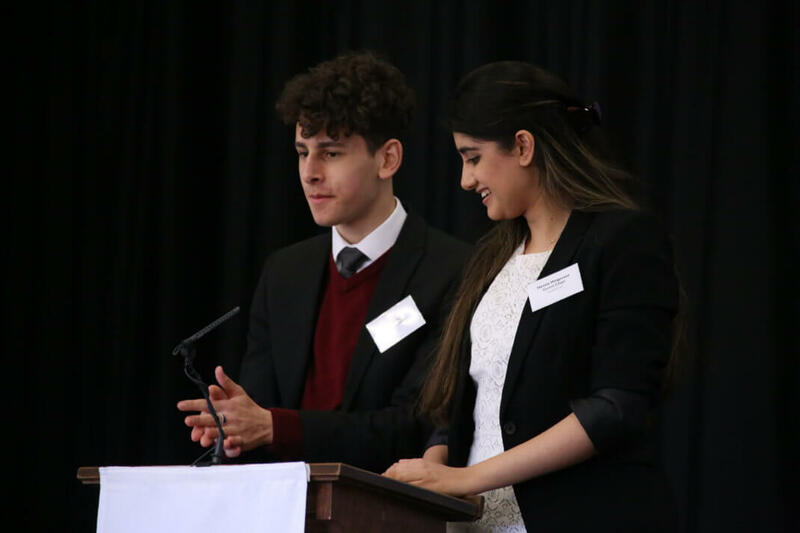 Reflecting on a successful event, John Lyon MUN’s Co-Secretaries General, Husain Abedi and Patrick Miles, felt huge relief and reward.